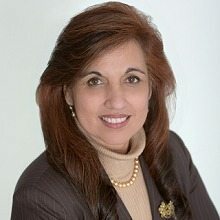 Sonya Jain, CEO of eGlobalTech and a longtime WashingtonExec supporter and member, died Dec. 17, at age 54 after a lengthy battle with cancer. Jain established the management consulting and IT solutions firm in 2004 with a vision for better connecting with clients to solve their most complex challenges. eGlobalTech has focused on enterprise architecture work and is known as the developer of the HealthData.gov portal. Before starting eGlobalTech, Jain was a government consultant at Booz Allen Hamilton, beginning a 12-year career there in 1992. Synerteq CEO Roja Kolachina said Jain was a mentor in WashingtonExec’s Women’s Mastermind Group. In 2014, Jain told WashingtonExec the book “Fish! A Proven Way to Boost Morale and Improve Results” by Steven Lundin, Harry Paul and John Christensen had profoundly influenced her. Jain grew up in India and, inspired by the country’s first female prime minister, went on to blaze a trail in the male dominated landscape of engineering and entrepreneurship. She was one of eight women in a class of 200 at the Indian Institute of Technology in Delhi. After graduation, she emigrated to the United States where she went on to build her career. She continued her studies at the University of Massachusetts at Amherst and the Isenberg School of Management. Among the many charities eGlobalTech has supported is ASHA, which supports battered Asian women who have no family in the country. In 2017, Jain was a recipient of the Women Who Mean Business Washington Business Journal Award. 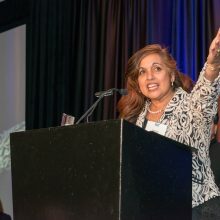 Jain was honored with a Women in Technology Leadership Award in 2016 and was also recognized with a SmartCEO 2016 Washington Future 50 award. In 2015, eGlobalTech was named to Federal Computer Week’s list of Top 20 Women-Owned Companies in the government IT market. Jain is survived by her husband Sanjiv Jain and her two daughters, Ritika and Eisha. eGT Chief Strategy Officer Branko Primetica said everyone in the company of more than 300 is “deeply saddened” by her passing. The company’s executive team is continuing to manage day-to-day operations without disruption while a contingency leadership plan is set in motion, officials said. Donations can be made in remembrance of Jain here.